Big, bold, flashy and just a tiny bit ridiculous. 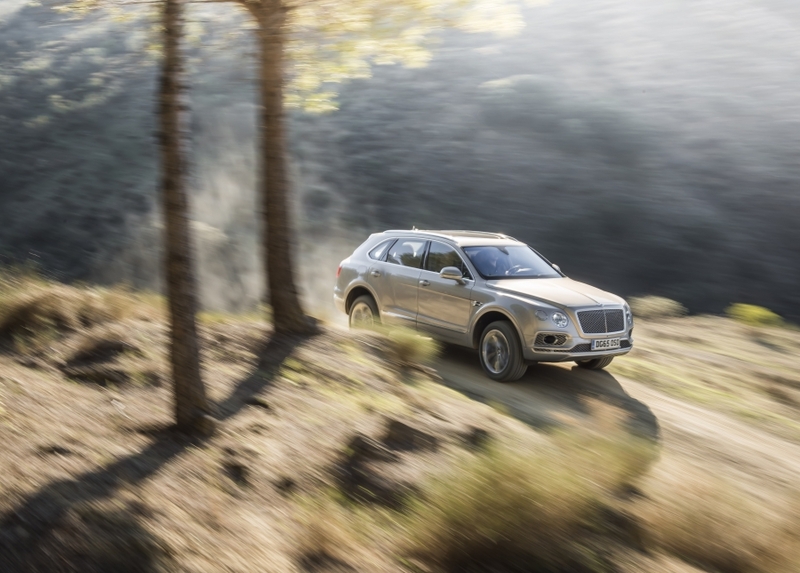 Bentley couldn’t have chosen a better place than California to debut its first ever SUV, the 608hp, two-and-a-half-tonne Bentayga. It’s a vehicle that wholeheartedly embraces excess (one of the Bentayga’s most extravagant options is a handmade Breitling Tourbillion clock costing £150,000) yet, unlike similar displays of über affluence, it’s very difficult to dislike the world’s first super luxury off-roader. Just like the Golden State itself. To showcase the Bentayga’s wide range of abilities, Bentley has shunned the metropolis of Los Angeles for our trip to America’s west coast, instead delivering us to Palm Springs – via a private jet, two helicopter rides and several chauffeur-driven journeys. If this is how the typical Bentayga owner is expected to live, we’re already onboard. While the price tag may seem absurd, the British manufacturer has ensured that the Bentayga is far from a ‘first attempt’ in the SUV market. A lot of time and money has been directed towards the car’s suspension, a system so sophisticated that it requires a 48-volt electrical system (rather than the more normal standard 12V setup). The Ritz London this is not. Instead, this villa provides an altogether more modern sense of luxury across its myriad rooms and suites. Based halfway between Palm Springs and Palm Desert, The Ritz-Carlton at Rancho Mirage provides some stunning views across the desert and to the snow-capped mountains beyond. Décor is kept typically minimal, with decadent wood textures and neutral tones helping to mirror the natural world. Many of the rooms come with private balconies or patios to make the most of the gorgeous vistas and Californian sun too. All the expected mod-cons (flat-screen TVs, expansive bathrooms) are present and correct, as is a selection of fine dining restaurants on site, spa and golf course among the dunes. It’s more than just PR guff too. Rolling out of downtown Palm Springs, the 2,440kg Bentayga floats over the road, rendering potholes imperceptible and flattening any imperfections in the greying bitumen. Gliding over Route 111 towards Interstate 10 and the highway towards the San Bernardino National Forest, our job behind the Bentayga’s wheel is made even easier with a heap of driver assist tech, including a lane-keep function and adaptive cruise control. There’s also a smart head-up display unit that projects driving information onto the windscreen and an advanced night vision camera that actually highlights dangers (pedestrians, animals and such) when visibility is poor. The cruise allows us some time to take in our opulent surroundings. As you would expect, the big Bentley’s interior is lavishly appointed as standard. However, in a bold move for a brand with such heritage, the cockpit is also bursting with new tech. In the rear there is a pair of optional removable Android tablets, which can be used to control most of the car’s interior functions (or taken away to binge on boxsets should the Business Class movies choices on your next flight not be up to par). Climate control functionality is taken care of by a separate removable touch-screen device, allowing it to passed around the cabin to each passenger, while the touch screen infotainment system is brand new and now supports Apple CarPlay and Android Auto. Plus, there are a number of Naim audio systems on the options sheet, the most powerful of which delivers 1800w through an 18-speaker set-up, perfect for concert-rivalling sounds. Owners can also fit a champagne cooler and leather-quilted picnic set in the boot, all manner of costly wood and leather veneers and the aforementioned clock, which is arguably the most expensive option ever seen on a car. The cockpit only holds our attention for so long though as we’re soon whisked into the San Bernardino National Forest where we depart the highway and join Route 18, the road quickly becoming much more Californian in nature, snaking its way through the myriad mountains towards the town of Twin Peaks. Yes, really. Unlike the dusty streets of Palm Springs, the environment here is much more lush, with plenty of evergreen forest providing year-round colour. The views only get better too, especially as we head deeper into the National Forest, switching onto the superb CA-2. Here our route traverses up the side of the mountain range topped by Mount San Antonio, providing plenty of challenge for us in the driver’s seat. The typically strict US speed limits mean you have to be careful not to attract the long arm of the law, especially when you’ve got over 600hp and 900Nm from the Bentayga’s twin-turbocharged 6.0-litre W12 powerplant under your right foot. Bentley wanted to make the fastest luxury SUV on the market and with official figures clocking the 0-62mph sprint in 4.1 seconds (with a top speed of 187mph) it certainly achieved that. However, the straight line speed is not the most impressive thing about the Bentayga as we climb through the tight and twisting switchbacks. A ‘Sport’ mode in a luxury SUV may seem like madness but, a flick of the right switch, instantaneously stiffens the suspension and sharpens all the car’s responses. Wherever you go around California, you’re never too far from a good American diner, as we found road tripping to San Bernardino and back. Palm Springs itself is no exception either, with plenty of choice when it comes to traditional fare. In the shadow of the city’s surrounding mountains, Elmer’s Restaurant has been a favourite of Palm Springs residents since it opened in 1960. From good, old fashioned burgers to grilled sandwiches, the menu is filled with hearty meals, while those with a sweet tooth are l catered for with a delectable selection of crepes. If fine dining is more your thing, book a table at Le Vallauris for dishes such as “Roasted New Zealand Sea Bass over Brandade with chorizo and sweet bell pepper coulis”. California may be famous for its unrivalled number of sunny days however in Spring and Autumn, the mountains around Palm Springs are regularly topped with snow, so a decent jacket is vital. With a history as uniquely British as Bentley, Barbour’s ‘International’ range of jackets plays on the brand’s motorcycling heritage. The Duke coat, based on the company’s iconic Enfield jacket, features plenty of insulation to keep you warm, while the Thornproof wax outer is both hardy and waterproof. What’s more, it looks great in any of the colourways (from Black to Tan through Navy and Sage) thanks to its tailored cut, elbow patches and stud button collar. While a Porsche 911 may be the more normal transport for carving the canyons north of LA, the Bentayga is proving surprisingly adept through the tricky turns that would normally trip up such a weighty machine. A sports car it is not, but it’s far from shown up. The topography though is best enjoyed at a pace more becoming of a big Bentley. Slowing to savour the view, it’s not hard for the landscape to leave us breathless (and it’s not just the ever-increasing altitude). There’s something intrinsically American to our locale; every small town we’ve breezed through has had that classic look and feel, each home to traditional diner and hardware store and little else besides. From Falling Springs, the view over the San Bernardino National Forest is unrivalled. We feel our jaw slowly falling open at the sight of Mt. San Antonio though, parking up, we choose not to continue on foot to its peak. The light here, is simply amazing. We’re not sure anywhere else gives such vibrant yellows and bright blues. The sky too is so sharp, with none of the haze you often find in the Alps. Of course, an SUV wouldn’t be an SUV without at least a modicum of off-road ability so, pulling ourselves away from forested mountains of San Bernardino, our mammoth route now makes a beeline for the arid desert of the Joshua Tree National Park. The barren vistas are a stark contrast to the lush landscape of earlier. Gone is the evergreen tint of trees, replaced by sand and dust (but no stray members of U2). Working our way to Palm Desert, we wave “goodbye” to the tarmac and introduce the Bentayga to some Californian dunes, something that many prospective owners are unlikely to encounter. 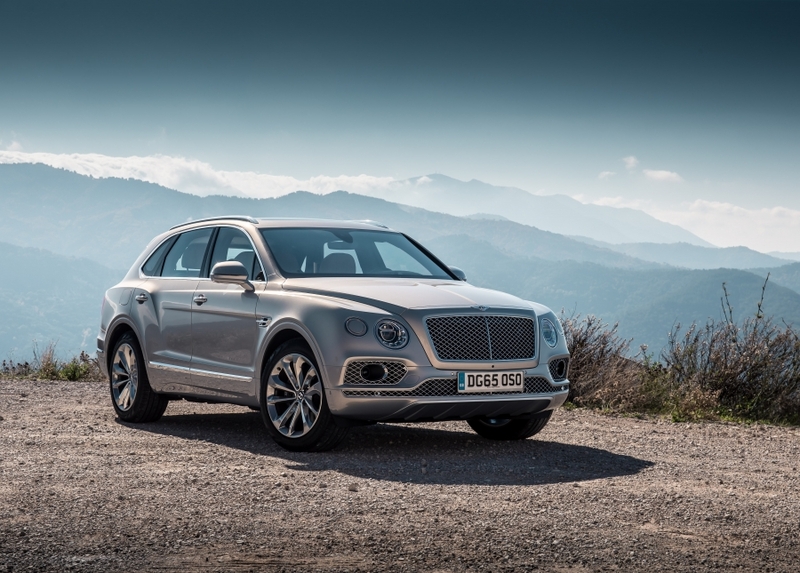 Despite this, Bentley expects at least a few buyers to take their £200,000 Bentayga off piste. Tick the Off-Road Specification box in the dealership and they will install a Drive Dynamics Mode dial, which adds a further four additional off-road modes. The all-wheel-drive technology and electrically adjustable ride height mean the Bentayga can tackle some impressively tough terrain. Thundering around some genuinely epic desert dunes on the outskirts of Palm Springs is genuinely surreal yet the Bentayga takes it all in its stride. There’s even a neat Driver Information Panel that displays longitudinal and transverse inclination, individual wheel suspension travel and steering angle so drivers can back up their badass, wilderness-crushing reputation with solid statistics. As we finally park back up outside The Ritz-Carlton in Rancho Mirage, we can’t help but admire the big Bentley, especially as it sits there wearing a few sand splatters, a reminder that it was the perfect partner for our unforgettable Californian adventure. To get the best views over Palm Springs and the Coachella Valley, you need to get atop the surrounding mountains. Of course, this can take hours of hiking, ideal for the hardier Flat-Outers among us. The Palm Springs Aerial Tramway allows you to take a ten-minute ride along the cliffs of the Chino Canyon – each carriage rotating to give you a full 360-degree vista – before depositing you at 8,516 feet. Coachella itself is famous for the annual two-week music festival of the same name, held at the Empire Polo Club 25 miles southeast of Palm Springs. The vibe is similar to Glastonbury: warm, friendly and with a backdrop that only the Californian desert could provide.